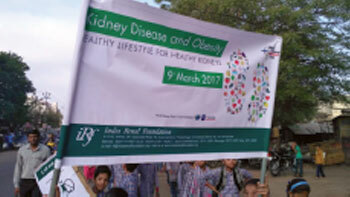 World Kidney day is a joint initiative of the International Society of Nephrology(ISN) and the International Federation of Kidney Foundations(IFKF). It is celebrated on 2nd Thursday of March every year. 850 million people worldwide are believed to have kidney diseases from various causes. Chronic kidney disease (CKD) causes at least 2.4 million deaths per year and is now the 6th fastest growing cause of death. 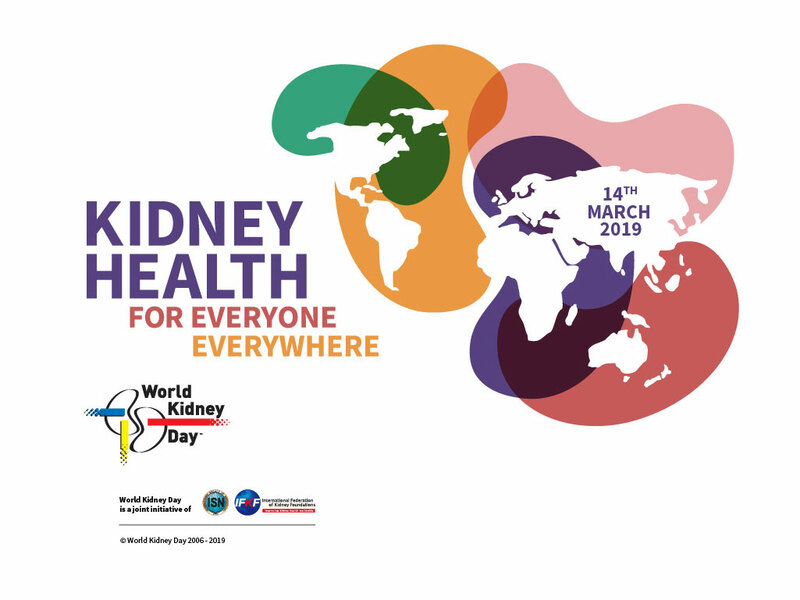 Acute kidney injury (AKI), an important driver of CKD, it affects over 13 million people worldwide and 85% of these cases are found in low and middle-income countries. Moreover, CKD and AKI contribute massively to increased morbidity and mortality from other diseases and risk factors including cardiovascular disease, diabetes, hypertension, obesity, as well as infections such as HIV, malaria, tuberculosis and hepatitis. Furthermore, CKD and AKI in children, not only lead to substantial morbidity and mortality during childhood but also result in medical issues beyond childhood. Kidney Health for Everyone Everywhere calls for prevention and early treatment of kidney disease. Encourage and adopt healthy lifestyles (access to clean water, exercise, healthy diet, tobacco control. Many types of kidney diseases can be prevented, delayed and/or kept under control when appropriate prevention measures are in place. 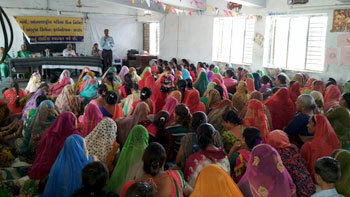 Roughly 5 Lakh people in Ahmedabad are estimated to suffer from a kidney disorders. 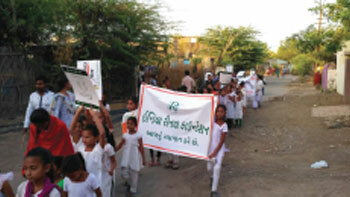 Around 8.9 % of the Gujarat state’s population suffers from chronic kidney disease. Greater awareness and early diagnosis can help tackle this problem. 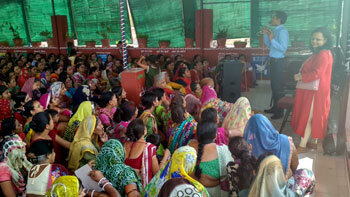 Several programmes like systematic screenings, kidney check-up camps were held across all our chapters. 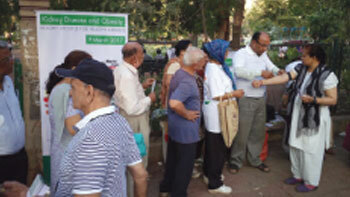 Citizens were motivated and given health tips on how to prevent kidney diseases. 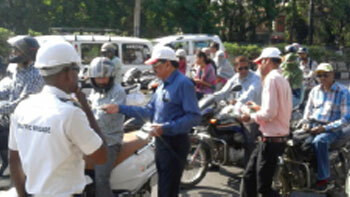 Group health events like walking and bike rally were organised. To keep kidney diseases at bay regular check up of blood pressure, diabetes, family history of kidney disease, obesity etc. were suggested. All programmes were sponsored by Fresenius Medical Care and Concord Biotech. We appreciate their support. 2013 Kidneys for Life – Stop Kidney Attack! 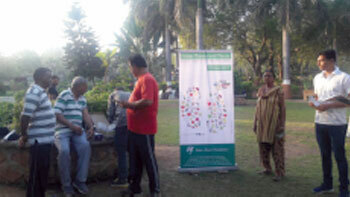 We had organised several programmes like awareness and detection camps at Parimal Garden, Prahladnagar Garden and M.G. Science Institute in Ahmedabad. 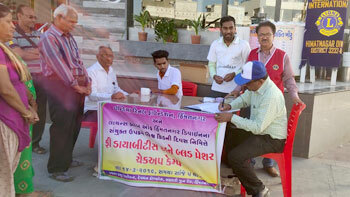 Kidney walk was held at Bhavnagar, Vadodara and Rajkot in association with other organisations. 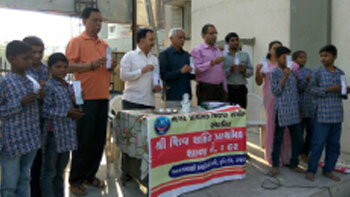 Informative leaflets were distributed at busy cross roads in Surat and had also placed hoardings to raise awareness at various public places in Vadodara. 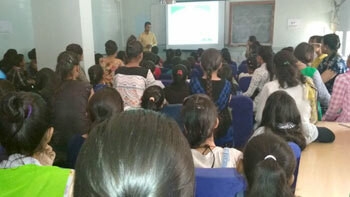 Awareness was also given through ‘Bhavai’ in Vadodara at GandhinagarGruh . 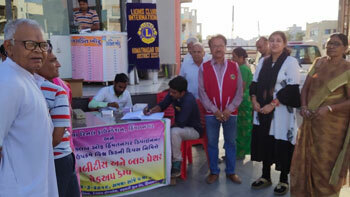 In Ahmedabad, primary kidney function tests of almost 200 people were done . Out of 200 people , 20 people were found diabetic and 5 people with high Serum Creatinine level. Before the ‘ Kidney Walk’, Dr.Archit Patel and Dr. Manish Dabhi, Nephrologists gave a speech on how obesity causes kidney disease and cadaveric kidney transplantation respectively at GandhinagarGruh in Vadodara . 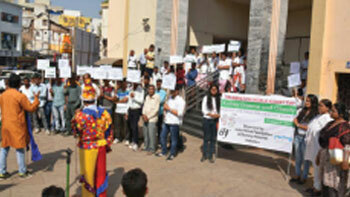 The walk was flagged off by Shri Anilbhai Patel, Director of Baroda Institute of Medical Science (BIMS). We thank Sterling Hospital and BIMS for their contribution and support. 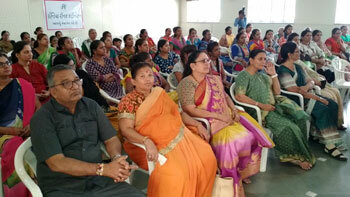 Kidney walk at Rajkot was held in association with Shivshakti School. The walk was held from KishanparaChowk to Race Course via Jilla Panchayat and back to KishanparaChowk. 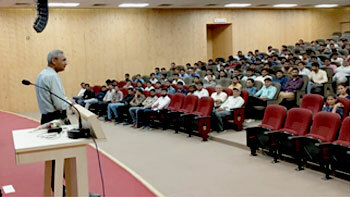 All expenses were sponsored by SurakshaSetu Society, Rajkot. We thank trustees of Shivshakti School and SurakshaSetu Society for their support. 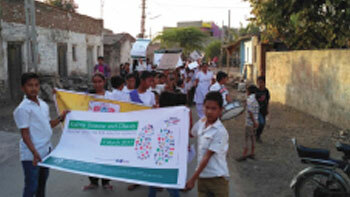 In the similar fashion, a walk of 3 km in association with Sneha Foundation and Ashwamegh Trust was organised to raise awareness from Khedutvas to nearby slum area in Bhavnagar. We thank Shri Gurupritsingh, Director of Ashwamegh Trust for their active participation and support.